Dublin’s Planning Division is in the process of converting its award-winning Community Plan to an entirely digital format. This is being done to allow easier updates and make the Plan more user-friendly. 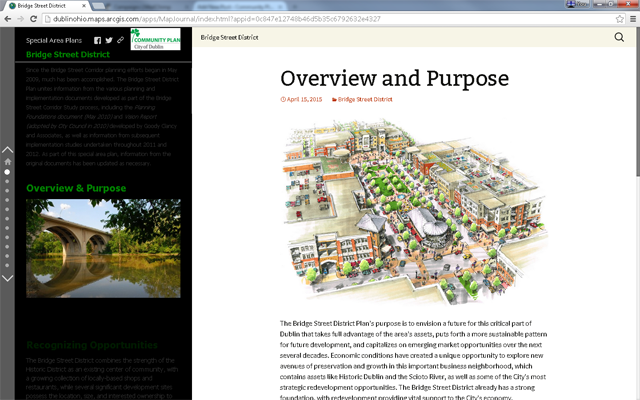 Look for more interactive maps and graphics to better explain some of the Plan’s concepts. If you have any suggestions about how the Plan could be made easier for you to use, please let us know in the “Leave a Reply” section.